TORONTO, ON – Radical Road Brewing, a side-project from brewers Simon Da Costa and Jon Hodd of Black Oak Brewing, will soon be releasing a follow up to last winter’s Canny Man barrel aged Scotch ale. 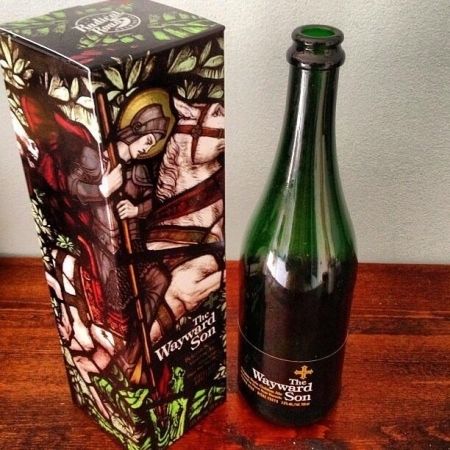 A photo of new Radical Road offering The Wayward Son was posted on Twitter earlier this week, and it shows that the new beer – a Belgian-style golden ale aged in Pinot Noir barrels – will be sold in champagne-style 750 ml bottles with a label and presentation box designed by Glenn Davis Group. The exact release date for The Wayward Son has yet to be confirmed, but it’s expected to be available at select LCBO outlets at some point over the summer.